My Mom's Best: What every gal want 1st Giveaway! What every gal want 1st Giveaway! This giveaway is fun because you get to win two mini skin care set, win it for yourself or your loved ones! There is a Mickey Mouse badge and two cell phone charms! Look at the cell phone charms it is like best friend forever cell phone charm, can give one to your best friend. You could share the goodies you won with your loved ones. The cell phone charms handmade by me! 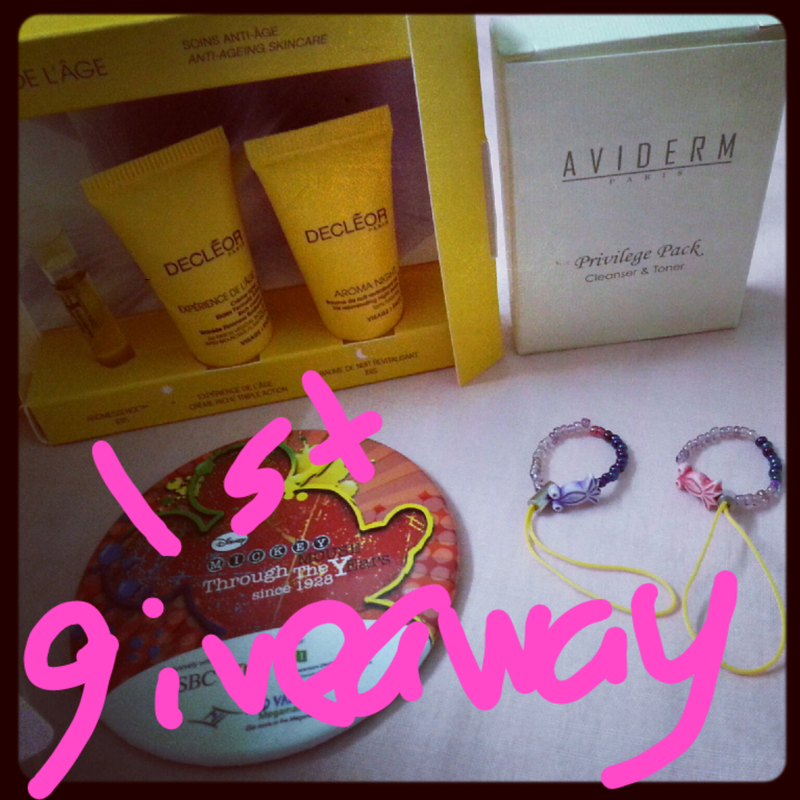 Well this is another giveaway you can win from my blog be sure to take part What every gal want 1st Giveaway! You may click above link for detail of the giveaway, don't forget to follow me at Facebook too as I have shared some fantastic giveaway held in Facebook. Some nice giveaway and event, I didn't join all the event because some places I find it far for me. The Giant Kids Run sound good to me for my son but Kepong is stranger place for us. We seldom travel to Kepong and not familar with the place. Last year I wanted to join the run with my son but didn't because cousin having an open house at the same day. No kidding it is a year past, no doubt we are one year older now. I registered the Guardian Charity Walkathon 2012 and gave one of the goodie bags to sister-in-law, she was the one helping to care my baby while we went for the walk. She's always there for me, so I am sharing many things with her and even some samples redemption online. I would let her know of it, sharing is caring.